Brisbane City Sounds - 2018-08-03 - Chorus news item: Mamma Mia! A great crowd of BCS friends and supporters turned up at Palace Barracks Cinemas on Sunday 22 July to see a mini performance, drink a glass of bubbly, and watch the jukebox musical movie, Mamma Mia! Here We Go Again. 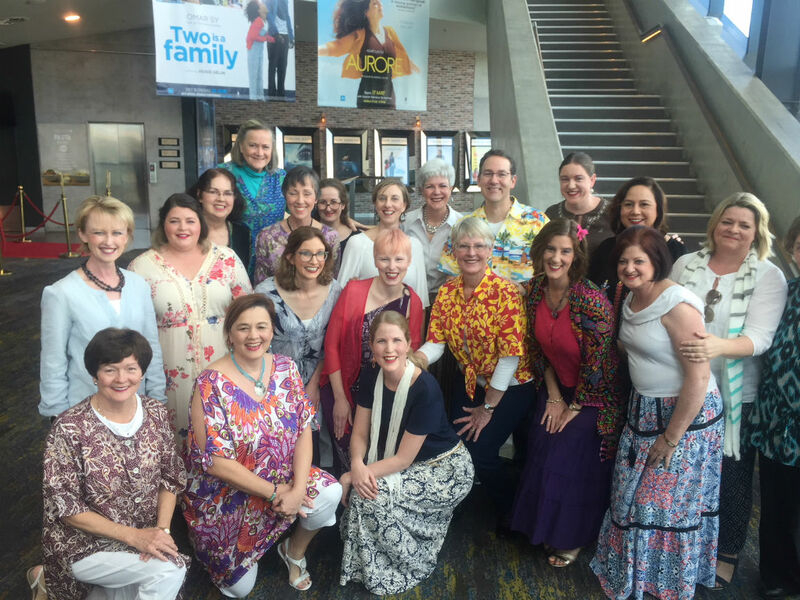 Ten years ago, the original Mamma Mia movie was screened at Palace Centro Cinemas for a chorus event, so we were excited to see the sequel! The chorus and quartets sang several songs, including Mamma Mia, to warm appreciation from the audience of more than 90 people. The light-hearted movie featuring the songs of Abba made for an afternoon of great entertainment, with the audience clapping and singing along on a number of occasions! We are grateful as always to our supporters who unfailingly attend our fundraisers – we hope that you also have a great time in the process!